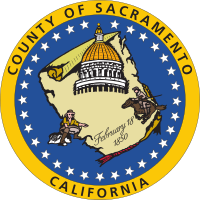 Sacramento County is a county in the U.S. state of California. It is in the Central Valley, along the Sacramento River. As of 2000, 1,223,499 people lived there. Its county seat is Sacramento, which is not only the county seat but the state capital. This page was last changed on 15 September 2018, at 17:04.